Belitsoft has been on the market for 14 years and boasts 250+ skilled and passionate people on our team. "It's a solid development shop," Alex Aronoff, KPMG. 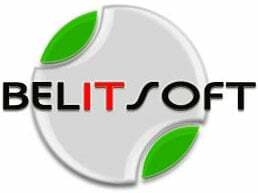 Belitsoft works globally, with clients coming from the USA, Europe, Israel, Hong Kong, and other countries. Impeccable service record. The client reviews on Clutch and GoodFirms confirm that we deliver on time and budget. Fair pricing. Not only are our rates 50% lower than in the US, we give detailed quotes so you'll know where every dollar goes. Great communication. We speak fluent English and give weekly progress reports. We also make suggestions about how to improve your project. Time zone is not an issue. Discover the Solutions Belitsoft has to offer.